Once upon a time, a professor for philology called John Ronald Reuel Tolkien wrote a couple of great books. As most of you know, I am a huge of fan of him and read almost everything he wrote, even the little known and sometimes less thrilling stories. When rumor spread that Peter Jackson was making the long expected movies on Tolkien’s core story – The Lord of the Rings – you could imagine that exciting times were to come for me. After having seen the movies many times (which means pre-premiere for the first one, all the extended versions, the making-ofs and bonus material), I finally had to see the production places in real. Luckily, I have a nice companion (who is not that much of a fan herself but knows the books and movies at least by now) with whom I built the fellowship of… hm, no ring, but we bought the same watch for our journey, so let us call it the fellowship of the watch (before people think it is an expensive Swiss watch, we just went for a Swatch Touch). After this encouraging experience, our fellowship was keen to climb Mount Doom (“Schicksalsberg”), aka Mount Ngauruhoe in the middle of North Island. In the movie Mount Doom is digitally assembled of one part of this mountain and another one. 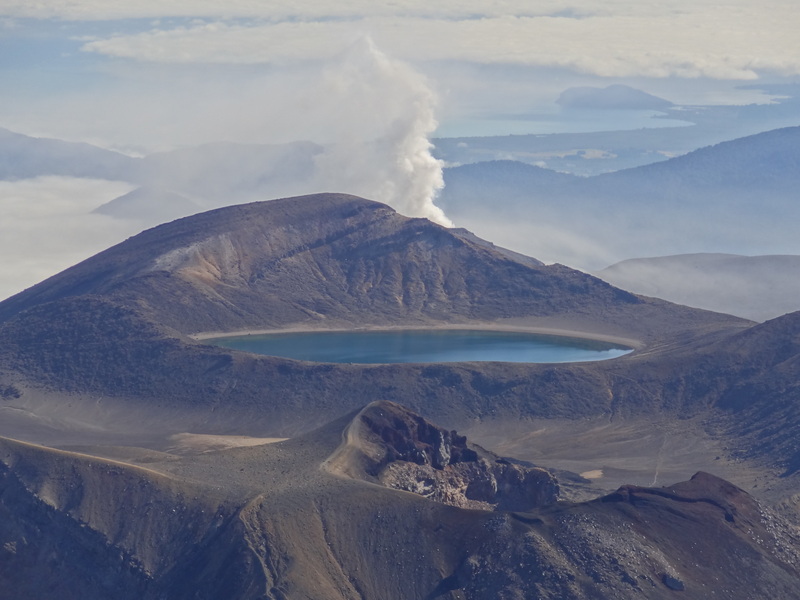 However, Mount Ngauruhoe is generally recognized as the “real” Mount Doom. Since Frodo and Sam made their way up barefoot, we dared to try this hike without real hiking boots (but ,we put on shoes, don’t worry) as our luggage did not have enough space to bring our real hiking boots unfortunately. However, now we know why Frodo was wheeping and crying all the time in the movies: The way up the mountain really is strenuous. It mostly consists of loose gravel and it is very steep without any given trail. Having arrived at the summit (of course, we had to be the first ones), we were stunned by the exceptional view from the top: vulcanic landscapes, blue lakes and spectacular view of distant mountains. Unfortunately, we forgot to bring the ring and I could not convince my buddy to throw our precious (S)watches in the crater. 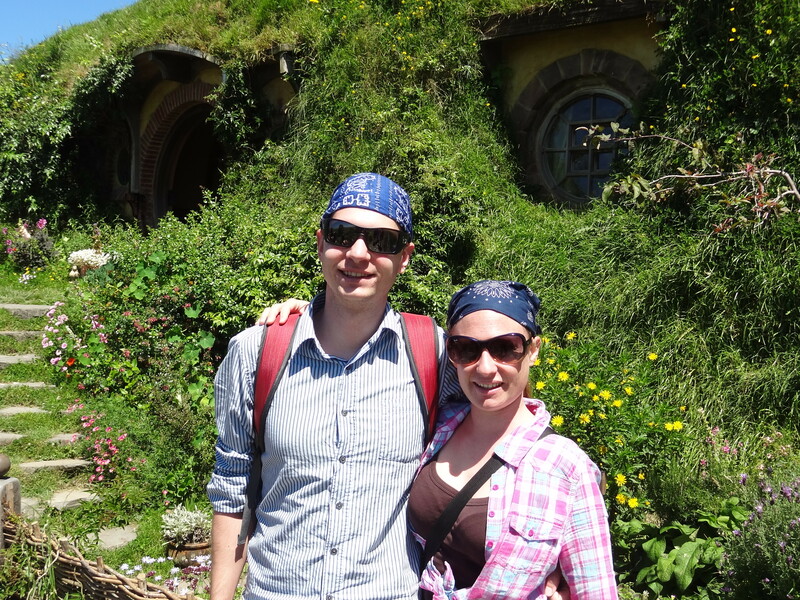 Surviving this 8.5 hours walk with only minor injuries (broken pants of Annemarie for instance, sorry guys no photo) we drove to Wellington to see some more production places of the Lord of the Rings. Just to assure you that we are not geeks only thinking about this movie we mainly did other things in Wellington – which we really liked after we managed to park our car for three days (this story would fill a separate post). We went shopping to buy some new pants for Annemarie which took quite some time. And when that was completed we enjoyed the interesting national museum (Te Papa), visited the parliament building and attended a parliament session which was somewhat different to what we know from Switzerland. Maybe some of you have seen the Wednesday Prime Minister’s question time in Westminster which is basically the same. Apart from that we found some nice local breweries and the best Malaysian meal we ever had – and we have been to Malaysia. This entry was posted in 01 New Zealand by theorey. Bookmark the permalink.